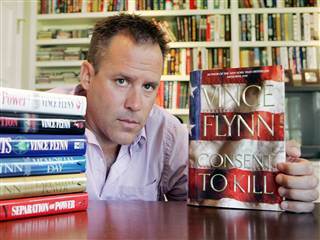 Vince Flynn died last week from cancer. Sad day when that came across the wire. America lost a true, country loving man who's concerns for this country came through in his work. That work not following the 'political correctness' and detailing out how things truly are or how the should be to get results against those that want nothing more than to kill all of us. His books were special and stood out in a sea of political thrillers. Vince was a Minnesotan and never forgot that. He didn't get wrapped up in the Hollywood celebrity style and move away, he kept his family here. I admire him for that. But to be perfectly honest, I created Geek to Author and began creative writing because of Vince Flynn. 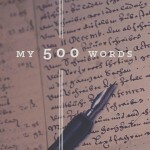 Not for his stories per se, but his journey of overcoming dyslexia and never accepting no for an answer. He took it to the extreme and self-published his first book Term Limits himself after getting told No countless times. Struggling with that learning and productivity disorder to produce what he did is amazing. Sadly he was taken too early from us. Vince and his universe went with him. We may not have another author that will create the stories like he did, many will now try to take that spot, but few will have the character outside of the book that matched Vince's. Through most of his career I would goto the HarMar Mall Barnes and Noble for each book release. Of all his books I think I missed 2 releases both because I was out of town on business. Vince started his tours in Minnesota and recently as his health deteriorated he stopped doing the public appearances. I will miss him. So sad. So inspiring. So sad. He is being laid to rest today in St. Paul, MN and will be surrounded by so many that were touched by his charity, generosity and caring for this country.